Spartacus is a new ransomware family that is developed in April, 2018. This virus is able to sneak through victim’s system and encrypt all the important files. First Spartacus infiltrates your system, then starts encrypting procedure with AES encryption algorithm. This ransomware adds . [MastersRecovery@protonmail.com].Spartacus file extension to the name of all the encrypted data. For example, photo.jpg file turns into photo.jpg. [MastersRecovery@protonmail.com].Spartacus file. In this article you can learn how to remove Spartacus ransomware and decrypt . [MastersRecovery@protonmail.com].Spartacus files. 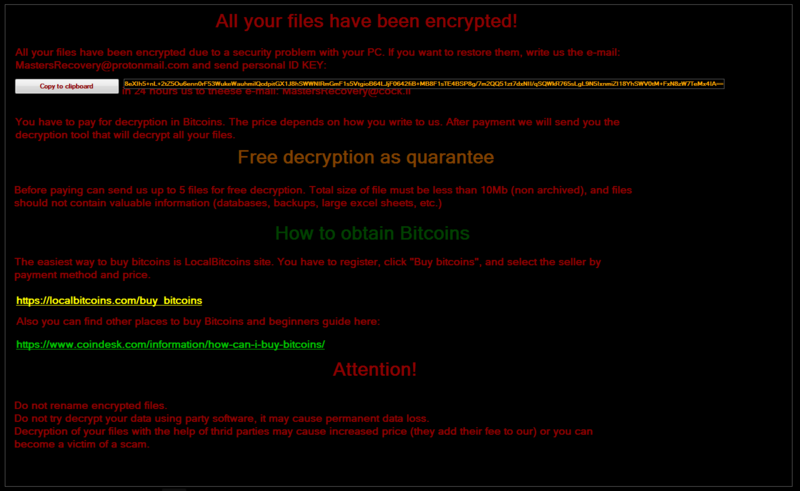 Spartacus is a typical ransomware, its main purpose is to force you to pay them. After finishing encrypting process, the ransomware will state that there are no ways to recover your files but to pay ransom. Cyber criminals demand ransom in BitCoins. Once you’ve done payment, they are suppose to send you decryption key. But you should know that cyber criminals are not going to give you a decryption key. Mostly they are just ignoring their victims. That’s why there is no need to contact them, it wouldn’t help. Still, Spartacus ransomware does very complicated encryption, but it does not damage, move or delete your files, which means you have chance to restore your personal data. How to remove Spartacus ransomware from your computer and restore files? This anti-ransomware removal tool is able to detect and remove Spartacus ransomware from your computer. Newly advanced ransomware detection technology is able to run an instant ransomware scan, which is perfect to protect your computer in case of a new ransomware attack. Unfortunately, due to novelty of Spartacus ransomware, there are no available automatic decryptors for this virus yet. Still, there is no need to invest in malicious scheme by paying ransom. You are able to recover files manually. Shadow Explorer is an application that is able to provide you with Shadow Copies created by the Windows Volume Shadow Copy Service. On the right side you can see the list of files. Choose any file, right-click on it and select Export option. 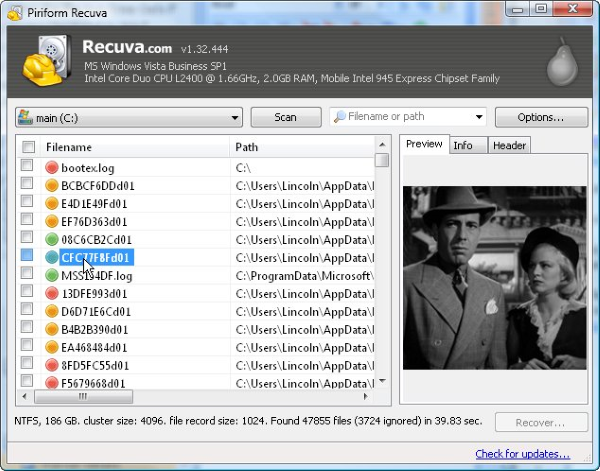 Recuva is a data recovery program for Windows, developed by Piriform. It is able to recover files that have been “permanently” deleted and marked by the operating system as free space. Select Recover option and choose the directory of the restored data. How to protect PC from Spartacus? It’s pretty difficult task to get rid of any ransomware, including Spartacus. But you can easily prevent any infection of your PC. HitmanPro.Alert’s CryptoGuard can help you with this problem. It’s one of the best anti-ransomware applications. 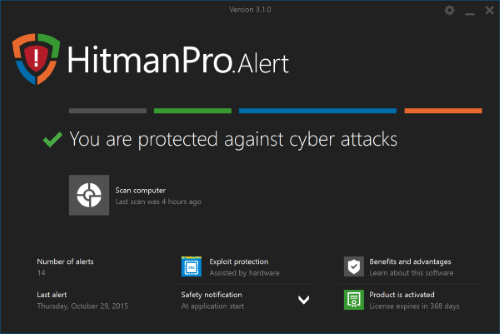 No matter how sneaky it is, HitmanPro.Alert’s CryptoGuard will stop Spartacus infiltration to your system. After detection, this program removes all the related to the ransomware data and prevents your file from being encrypted.